In the College of Arts and Sciences . The following four programs allow students to alter the regular college or major requirements or to work toward more than one degree. The College Scholar Program, a major in the College of Arts and Sciences, serves students who demonstrate exceptional promise and show the maturity to plan and carry out, with the help of their advisor, a thoughtfully designed individualized program of study. Some college scholars take diverse courses across a variety of disciplines that relate to a core research interest; others go into great depth within a single field of study. College Scholars are required to complete 120 credits of course work (100 in the college), 34 courses, the College’s First-Year Writing Seminar requirement, the university physical education requirement , and, unless they qualify for acceleration , eight full semesters of study. Although the program does not provide the structure of a traditional department, College Scholars are expected to select courses that will not only prepare them well for the specialized honors thesis or senior project they propose to complete during their senior year, but will also expose them to the disciplines and methods essential to a liberal arts education. All College Scholars must complete a year-long honors thesis or a semester-long senior project in their last year. Students who opt for the one-semester senior project are not eligible for honors. To be eligible to enroll in the year-long honors thesis course, College Scholars need to have completed a minimum of two College Scholar seminars (one in science or math, and one in the humanities or social sciences) and maintained a GPA of 3.5 or above. Applications to the College Scholar Program are due early in the first semester of the sophomore year. Application materials and deadlines are available on the program’s website: http://as.cornell.edu/college_scholar. Students interested in the program should plan to attend an information session in the spring of their freshman year to gather general information about the Program; at least one information session will be offered each September for students who have been unable to attend in the spring. Quick questions about the Program may also be sent to as_csp@cornell.edu. The Concurrent Degree Option enables especially ambitious undergraduate students to pursue programs of study in two colleges. Concurrent Degree candidates may earn both a Bachelor of Arts degree from the College of Arts and Sciences and (1) a Bachelor of Science degree from the College of Engineering; or (2) a Bachelor of Fine Arts degree from the Department of Art in the College of Architecture, Art, and Planning; or (3) a Bachelor of Science degree in Urban and Regional Studies from the Department of City and Regional Planning in the College of Architecture, Art, and Planning. Students enter one of these colleges as freshmen or sophomores and begin the Concurrent Degree Option with the second college in the second or, in some cases, the third year. The Concurrent Degree Option ordinarily takes five years to complete, and students are eligible for 10 semesters of financial aid. For further information contact Assistant Dean Richard Keller in the Office of Undergraduate Advising, KG17 Klarman Hall, (rfk46@cornell.edu) and visit the website of the Office of Internal Transfer and Concurrent Degree at http://internaltransfer.cornell.edu/. The Independent Major Program allows students to design their own interdisciplinary majors and pursue a subject that cannot be found in an established major. Proposals for an independent major must be equivalent in coherence, breadth, and depth to a departmental major, well suited to the student’s academic preparation, and consistent with a liberal education. Proposals must also be supported by a faculty advisor and are assessed by a board of faculty members. Independent majors substitute for established majors, but students must still satisfy all the other requirements for the bachelor’s degree. Students should contact Assistant Dean James Finlay in the Office of Undergraduate Advising, KG17 Klarman Hall, (jmf13@cornell.edu, 607-255-5004), for further information. Deadlines for submitting independent major proposals are listed on the calendar supplement for the College of Arts and Sciences. Registration in the senior year of the College of Arts and Sciences and the first year of Cornell Law School or the Johnson Graduate School of Management is occasionally possible. A very few exceptionally well-prepared students who have earned 105 credits before the start of the senior year and have been accepted by one of the above-named professional schools may be permitted to register simultaneously in the college and in one or another of these professional schools during the seventh and eighth terms. They earn the B.A. degree after the first year of professional school. Students with 8 or fewer credits and two or fewer courses to complete may apply to enter the Master of Engineering program during (but no earlier than) their eighth semester; concurrent degree students may enter this program no earlier than the ninth semester. They earn the bachelor degree(s) after one semester of graduate school. Students interested in the joint program with the Law School, the Cornell Institute for Public Affairs (CIPA), or the Graduate School of Management, or in early admission to the master of engineering program should apply to the relevant program. All candidates should confirm their eligibility with their advising dean, Office of Undergraduate Advising, KG17 Klarman Hall. Double-registered students must, of course, complete all requirements for the B.A. degree, including 100 credits in Arts and Sciences courses. Students interested in teaching may complete a minor in education at Cornell. Those who complete the minor may pursue teaching in public (including charter) or independent schools. Public school teaching usually requires certification (licensure), which students can attain through a variety of graduate programs around the country. (Cornell faculty listed at education.cals.cornell.edu can advise students on program options.) An especially convenient and strong option is the program at Ithaca College that leads to New York State licensure and either a Master of Arts in Teaching (for those wishing to teach at the secondary level) or Master of Science in Childhood Education (for those wishing to teach at the elementary level). A special agreement between Cornell and Ithaca College streamlines the application process. For information about Cornell’s minor in education, as well as certification areas available under the agreement with Ithaca College, visit education.cals.cornell.edu or ithaca.edu/gradprograms/education. The following options enable students to pursue special interests within the usual degree programs. Independent study affords students the opportunity to pursue special interests or research not treated in regularly scheduled courses. A faculty member, who becomes the student’s instructor for the independent course, must approve the proposed study and agree to provide continuing supervision of the work. An excellent way to benefit for undergraduates to benefit from being at a research university is to participate in ongoing faculty research. About 400 students participate each year in undertaking research and earning independent study credit for what they learn and contribute. They sharpen their critical and creative abilities and test their interest in pursuing a research career. Sometimes they publish their work. Students interested in research should consult the director of undergraduate studies in the department of interest to find out about available opportunities and can also consult undergraduateresearch.cornell.edu. The Cornell Undergraduate Research Board, an undergraduate organization, conducts an annual open house to help students get started in research and an annual forum at which undergraduates present their work. To apply for independent study, students must, in agreement with their independent study faculty supevisor, complete the on-line form at data.arts.cornell.edu/as-stus/indep_study_intro.cfm and submit it before the add deadline. On this form, students must outline a proposal for independent study, describing the proposed project, the expected results/deliverables, the number of hours of work and supervision and the number of credits. The faculty supervisor will need to approve the independent study form electronically once submitted and include the number of credit hours. In a laboratory, approximately three to five hours of work per week is usually expected for each credit. In tutorials in the humanities and social sciences, the amount of work required for an independent study should more than equal the amount required for a regular course (three hours of work and one class meeting per week for each credit). For one or two credits, the written work may be a series of short assignments, project reports, or compilation of data. For three or four credits, students should produce an integrated written paper as is required in an advanced seminar, or a detailed laboratory report which includes critical bibliographical work and an explication of the context of the particular study. In some cases the project itself - a film, a novel, a construction - replaces written results of research. But in all cases something reviewable must be produced. Credit may not be awarded for experience alone. Students who are being paid for assisting faculty in research cannot earn course credit for that work. In one semester students may earn up to six credits of independent study with one instructor or up to eight credits with more than one instructor. Law schools seek students with sound training in the liberal arts and sciences; they neither require nor prefer any particular program of study. Students should therefore study what they love and do well. While doing that, they should also develop their powers of precise, analytical thinking and proficiency in writing and speaking. Students in the College of Arts and Sciences who are applying to law school are encouraged to consult the Pre-Law Advisor in the Career Development Center, 172 Goldwin Smith Hall (as.cornell.edu/pre-law). The college offers a minor in law and society. This program offers a broad scope, complements almost any major, and attracts many students not intending to become lawyers as well as some who do. For further information, visit the Law and Society minor webpage at philosophy.cornell.edu/epl/las/. The breadth and depth afforded by a liberal arts education are invaluable for students planning health careers, whether they intend to practice or go into research. Such education has a profound effect on the health professional’s understanding of the world and hence usefulness to patients, and it affords the flexibility of mind that is needed for major research undertakings. Health professions schools do not prescribe or even prefer a particular major; they do, however, require particular undergraduate courses. Students who are interested in health careers are urged to meet with a pre-health advisor in either 172 Goldwin Smith Hall (calendly.com/a-s-career-development) or KG17 Klarman Hall (as.cornell.edu/academic-advisors). Interested students can also access additional information at career.cornell.edu/paths/health/index.cfm. Many students find it important to their majors or to their overall academic programs to study off-campus or abroad for one or two semesters. When it makes academic sense, the college encourages its students to pursue such studies and grants credit toward the degree for work satisfactorily completed. Students wishing to participate in any off-campus program must consult with their advising dean with a list of courses they wish to take during the program and a well-reasoned explanation of why the proposed semester is crucial for their course of study. The College of Arts and Sciences encourages study, both on campus and abroad, that provides a greater understanding of the world’s peoples, cultures, economies, and environments, and prepares graduates for the challenges of international citizenship in the twenty-first century. Study abroad programs approved by Arts and Sciences provide educational immersion through study at foreign institutions alongside degree candidates rather than in self-contained programs with courses specially designed for foreigners. The college approves only those study abroad proposals demonstrating realistic and coherent academic goals consistent with the philosophy of a liberal arts education. The college does not approve study abroad that tours more than one country or that is more touristic than scholarly in content and structure. International students will not be approved to study in their home country. The Office of Global Learning provides general advising on program choices and coordinates the application process. Detailed information on approved programs and the application process can be found on the Office of Global Learning’s website. Students apply to their specific program through the Office of Global Learning, while also completing the college’s course approval form. See as.cornell.edu/study-abroad for a full listing of all Arts and Sciences study abroad policies. Students who have questions about the study abroad program should make an appointment to meet with Advising Dean Clare McMillan (cam23@cornell.edu, 607-255-5004). A 3.0 cumulative GPA in language study at Cornell, in addition to the overall GPA requirement, for students applying to study abroad in a language other than English. The college’s language requirement for study abroad varies depending on the program, the region of the world, and whether the language is taught at Cornell. English-speaking countries: All study abroad in English-speaking countries is undertaken through direct university enrollment. Arts and Sciences students will engage in a full course of study alongside regular degree candidates in the host country. For study in the UK especially, substantial academic work in the major field will be considered essential for university acceptance, and students will be expected to select half of their courses at the advanced level in their majors. Non-English-speaking countries: In general, English-language programs in non-English-speaking countries are acceptable only if the host-country language is not offered at Cornell, and if the program of study allows direct access to regular university courses, taught in English, for degree candidates of that institution. Formal, accredited study of the host country language must be a part of the academic curriculum. For study abroad in non-English-speaking countries (the language of which is taught at Cornell), students must complete at least two semesters of language study at the 2000 level–specifically the 2090-2095 sequence for French and Spanish, and ITAL 2202 - Italian IV for Italian. Some programs in Spain (such as the Barcelona Consortium program) and Latin America may require one to two semesters of additional language study. Generally speaking, approved programs for study abroad in French-, Spanish-, Italian-, German-, Portuguese- and Russian-speaking countries must offer all academic instruction in the language of the host country, with direct access to regular university courses alongside degree-seeking students at that institution. Students may enroll in program courses offering upper-level language instruction and topical courses taught in the host language, but at least 50% of academic coursework must be completed in regular university courses. University-based courses that are offered exclusively for foreign students and are not part of the degree structure for regular degree-seeking students will not be considered eligible for credit. Study abroad in Africa follows direct-enrollment rules for Anglophone countries, and language immersion rules for Francophone countries. For study abroad in Asia and the Middle East, coursework entirely in the host language is not always practical even after two or more years of language preparation at Cornell. For these world regions, students may be approved for programs that combine upper-level language study with additional subject coursework in English. Students who begin language study in the sophomore year may be approved for language-intensive study abroad with fewer than the recommended semesters of prior study. These should make an appointment with Assistant Dean Clare McMillan to discuss their eligibility. While prior language preparation is not required for these programs, it is strongly encouraged. Other specialized programs will be considered on a case-by-case basis by the college in consultation with the DUS of the major department. In all cases, the college GPA and area studies requirements will apply. The Cornell-in-Rome program, administered by the College of Art, Architecture, and Planning, is open to Arts & Sciences students and does not require previous study of Italian. For further information, please contact that program directly at aap.cornell.edu/academics/rome/programs. At least one course in the history, culture, economics, politics, or social relations of the country of destination (3 or more credits, usually at the upper level is required as part of every student’s preparation for study abroad. A list of approved area studies courses offered each semester for a specific country or world region may be found on the Arts and Sciences Study Abroad website. 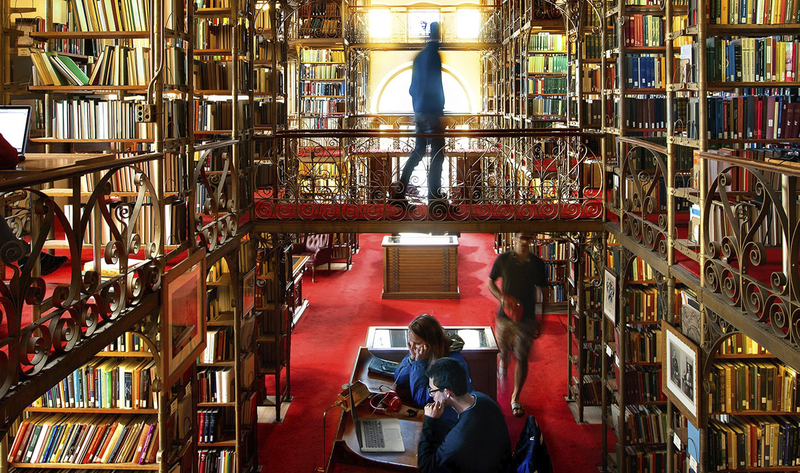 Students planning to study in Australia or New Zealand who cannot fulfill this requirement at Cornell must enroll in an area studies course while abroad. The College of Arts and Sciences allows a maximum of two semesters approved study away from the Cornell campus to count toward the degree requirements. Approved semesters include Cornell in Washington, SEA Semester, and all study abroad destinations. All students must fulfill the residency requirement of six semesters on the Cornell campus in Ithaca; students who transfer to Cornell must complete a minimum of four semesters of residence on campus in Ithaca and may not study abroad during any of those four semesters. Internal transfers must complete four semesters of residence on campus in the College of Arts and Sciences. All students who successfully complete a full academic load of approved courses will earn 15 Arts and Sciences credits/4 courses toward their degree for each semester abroad. All students must enroll in a full course load as defined by the host institution, and all courses must be taken for a letter grade. Students attending programs that use the US credit system for evaluation must enroll in a minimum of 15 academic credits. All coursework must be eligible for Arts and Sciences credit. Any course that falls outside the scope of the liberal arts and sciences may only be taken with the prior approval of Assistant Dean McMillan, and will earn non-Arts credits. Students are limited to one such course per semester. The fall term at English universities will earn a maximum of 12 credits, and may require extra coursework. Two terms at Oxford or Cambridge may earn up to 20 credits. Some foreign universities offer courses for visiting students that are not eligible for any academic credit. Orientation or pre-session courses will not normally earn academic credit from the college even though they appear on the transcript. Students may not earn additional credit for enrolling in extra courses during the semester or year abroad, and may not register for independent study credit at Cornell while they are enrolled in programs abroad. All proposed courses must be approved by a faculty advisor and Assistant Dean McMillan as part of the application process, and any later changes must have Assistant Dean McMillan’s approval for assurance of credit. Major credit is decided by the department only after completion of study abroad and examination of all relevant coursework. Final credit for study abroad can be awarded only after completion of the term abroad, after the college receives the official program transcript. All courses and grades will be listed on the Cornell transcript. Grades earned abroad are not converted to the Cornell grade scale and are not calculated into the Cornell GPA. Credit from study abroad may be used to satisfy distribution requirements. Internship opportunities on some Cornell programs abroad are available as an option in addition to full-time study rather than as a medium for earning academic credit. Programs that place internships at the center of their curricula are not approved by Arts and Sciences. Some programs allow registration in an internship program without awarding academic credit; students who elect this opportunity must remain enrolled in the equivalent of 15 academic credits. Students on the Hansard Scholars Programme in London, an exception approved by the Government Department, will earn 12 Arts and Sciences credits for the semester. During the summer months, students may participate in archaeological projects sponsored by Cornell or other institutions. Some projects may be organized as field schools (formal, for-credit summer courses). In recent years, Cornell faculty have conducted archaeological field projects in a range of locations, including New York State, Armenia, Central America, Cyprus, Greece, Israel, Italy, and Turkey. Cornell faculty have recently supervised field schools in New York State and Israel. For information about current opportunities, either at Cornell or at other institutions, students should contact the Director of Undergraduate Studies for Archaeology: Professor Nerissa Russell (nr29@cornell.edu), 202 McGraw Hall. The Shoals Marine Laboratory, jointly operated by Cornell University and the University of New Hampshire, is open to all students across Cornell University. SML is a marine field station located on 95-acre Appledore Island off the rocky coast of Maine focused on sustainability and education. SML offers Cornell Introductory Biology courses (1780, 1610, 1500, 1650) as well as a wide range of upper-level courses that will fulfill the PBS-AS requirement and require only one semester of biology as a pre-requisite. Courses are 1 to 2 weeks long; award Cornell credit; and go directly on the Cornell transcript. Scholarships, paid internships and student employment opportunities are available to all Cornell students in all colleges. Visit shoalsmarinelaboratory.org for a complete list of opportunities. Cornell in Washington is a fall or spring semester, or summer, program in the heart of Washington, D.C., our nation’s capital. This unique experience offers students in all colleges an opportunity to earn full academic credit for a semester or summer in Washington, D.C. Students take part in small seminars led by Cornell faculty, and gain work experience through an internship of their choosing. In the fall and spring semesters, students also have the chance to carry out individual research projects. Learn more about Cornell in Washington . Students wishing to participate in other Cornell-directed programs, not listed above, that they would like to have counted towards academic credit or residency must discuss their plans with their advising dean, in advance, to check if the program is an approved one for our college. The student must then petition, with a list of the courses they wish to take during the program and a well-reasoned explanation of why the proposed semester is crucial for their study.